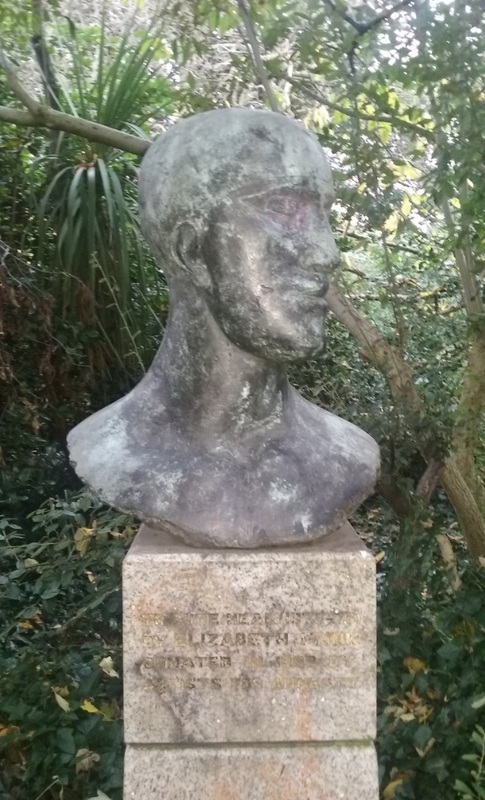 The forgotten Tribute Head of Merrion Square. | Come Here To Me! The forgotten Tribute Head of Merrion Square. ‘Tribute Head’, The Irish Times. 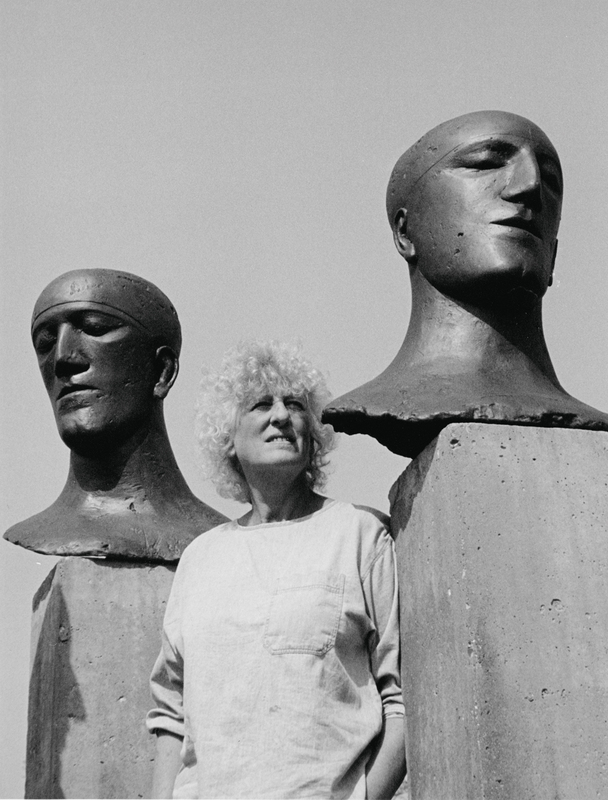 In 1975, she made a monumental group of four male heads, with closed eyes and clearly modelled, serene features. These were the Tribute heads…’In a sense, these sculptures are a tribute to Amnesty International,’ the sculptor said. ‘The heads represent the inhumanity of man – they are the heads of victims.’ A more recent pair of monumental heads is called In Memoriam, with eyes open, and are an extension of the same theme: people who have been tortured for their beliefs. The artist Fiona Robinson has praised the Tribute Heads, stating that “these heads are majestic. They epitomise Elisabeth Frink at her best, the visual realisation of profound emotion.” At the time of the unveiling of the Tribute Head in Dublin,Mandela was in his twenty-fourth year of imprisonment. The following year, while he was still a prisoner, the decision was made to award the Freedom of the City to the ANC activist and leader. In 1990, Mandela did come to Ireland to accept the honour. When Mandela was released from prison, the Tribute Head became the location for a gathering of hundreds in celebration. Gary Kilgallen of the Irish Anti-Apartheid Movement told the crowd that “Nelson Mandela is already a freeman of Dublin – now he is a freeman of the world.”The trade unionist Donal Nevin called Mandela “the noblest felon of our time”, while tribute was also paid to the brave Dunne Stories workers who had refused to handle goods from Apartheid South Africa. When Nelson Mandela came to Dublin only months after his release from prison, he made time to meet with the Dunnes strikers. He was presented with a picture of the Birmingham Six by artist Robert Ballagh. Today, Frink’s piece remains in Merrion Square, though time hasn’t been kind and its inscription is near impossible to read.It could do with a little TLC, but it remains standing, a reminder of a small act of solidarity with Nelson Mandela and the ANC during their long struggle. 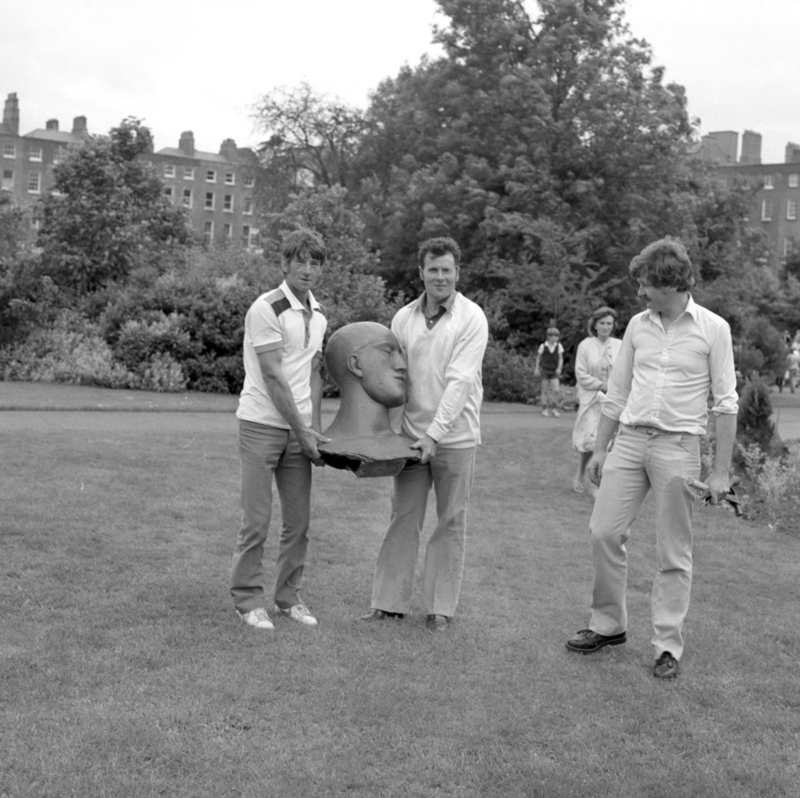 ‘Tribute Head’ – Merrion Square today.